Truelab Uno Dx launched in Andhra Pradesh by Sri N. Chandrababu Naidu as part of the “AP Tuberculosis Control Program". The Truelab Uno Dx is available across 225 DMC’s of AP. Enabling faster and more precise diagnosis of Tuberculosis. The Trueprep™ AUTO is an electromechanical platforrm pre-programmed to sequentially heat, mix and add reagents to the contents of the cartridge placed in the cartridge holder and has a 2-line LCD screen that displays the status. 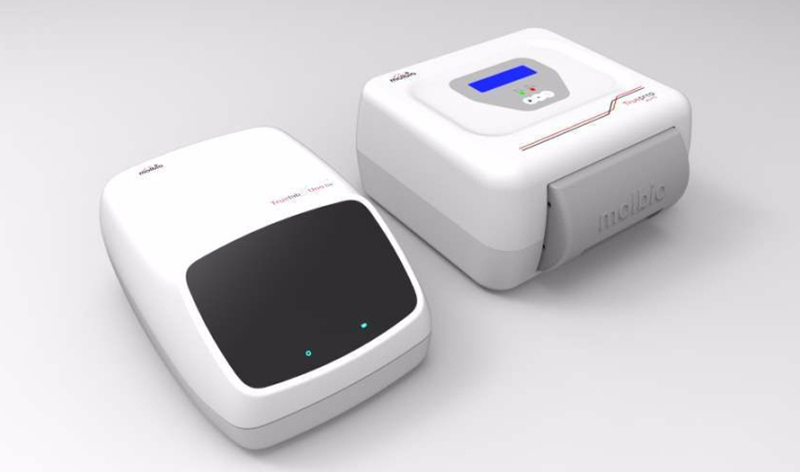 The TrueLab™ Real Time, Quantitative micro PCR is a portable, battery operated, light weight platform that used molecular diagnostics for detecting infectious diseases. Since it can be deployed closer to the patient, there is no need for transporting samples or for patients to travel long distances. This results in early diagnosis and faster recovery. The platform uses disease specific Truenat(TM) microchips. The chips require only 6 micro litres of purified nucleic acid sample for the reaction. Quantitative results are available in about 40 minutes. The affordable tests save the patient time, money and effort while ensuring a precise and possibly life-saving diagnosis. The sample preparation (extraction and purification) is done on a fully automated, cartridge based Trueprep(TM) device. The process is simple, user friendly and takes about 25 minutes. The entire platform is available in a carry case for easy transportation. © 2019 Bigtec Labs. All Rights Reserved.